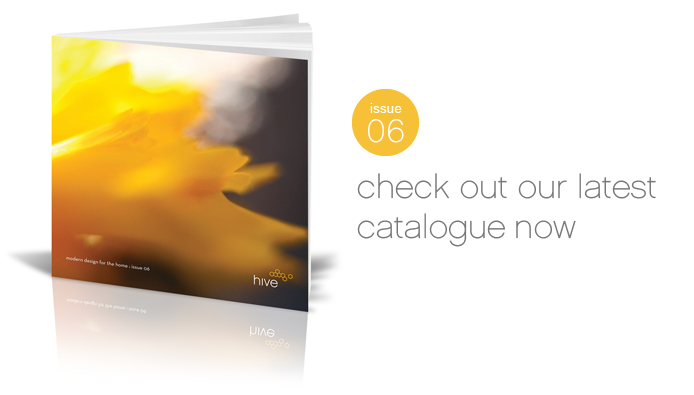 Hive was founded in 2002 with the idea that Good Design can and should be presented in an inspired, knowledgeable and friendly manner. From humble beginnings fueled primarily on inspiration, hive has evolved to become a trusted authority in the modern home furnishings industry. We are honored to be an authorized dealer for some of the world's most innovative and inspiring production companies: Alessi, B&B Italia, Cassina, Flos, Fritz Hansen, Herman Miller, Kartell, Knoll & Vitra to name just a few. We like to think of hivemodern.com, as the web-stop for the savvy design enthusiast... bringing the rare and unusual plus time-tested icons of design directly to your front door. Our manifesto is really quite simple: to share the joys of Good Design while providing value and excellence in service to our patrons. Whether you simply enjoy browsing the product pages to see what's new, or dive directly in to plan your next purchase, we hope to foster a fun and enriching environment where people can delight in Good Design on their own terms. We combine authenticity, quality & value with a sense of community to formulate a set of guidelines to fuel our growth and inspiration. In an age where many goods and service providers seek only greater profit and market share, the end result is often an erosion of quality, care and craft. We have always embraced a more sensible, sustainable and discreet aesthetic of quality and durability. As more people reject throw-awayism, our cause is on the rise. Our furniture & lighting will remain relevant, serviceable and iconic for decades to come. The items we offer are often built by craftspeople armed with generations of skill in production facilities where strict environmental controls and living wages contribute in a positive way to the cultural and economic community. In contemporary life we are now seeing an erosion of lines dividing work, social networks, and private life. Now more than ever there is a need for furniture that allows the informal and formal to merge, without limiting the expressiveness of the design or sacrificing quality. We believe our collection embodies and embraces the ideals of heirloom quality craft while meeting 21st century needs in a socially responsible manner. Please feel free to browse and should you need personal assistance, have questions about a product or a desire to contact us for any reason, we would very much like to hear from you.